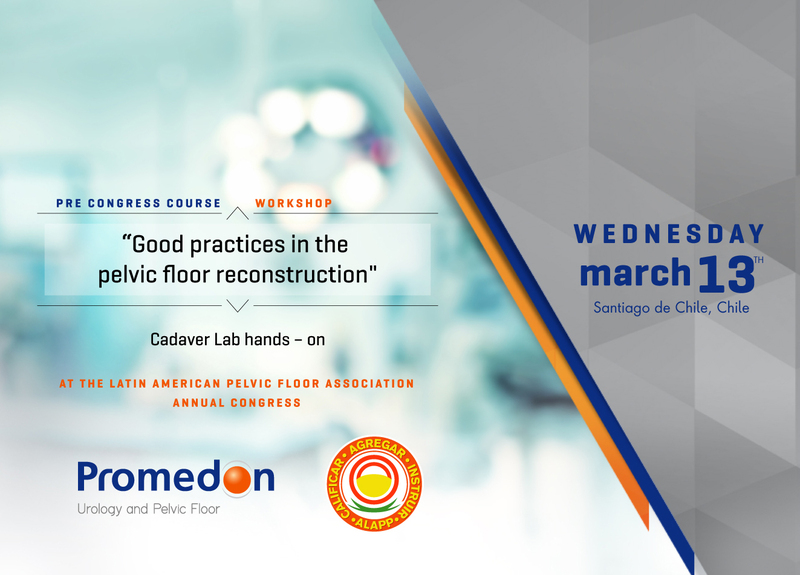 We are pleased to invite you to participate in the PROMEDON WORKSHOP at the Congress of the Latin American Pelvic Floor Association (ALAPP) 2019. The course will offer a presentation about the anatomy of the pelvic floor, description of the implants, their surgical techniques and a cadaver hands-on workshop on the use of vaginal implants for the treatment of pelvic organ prolapse and the correction of the stress urinary incontinence with slings. Given that it is a hands-on activity, attendees will be allowed to access and identify the sacrospinous ligaments and insert polypropylene TAS. The transobturator and retropubic slings implantation technique will also be practiced for the treatment of stress urinary incontinence. Inscriptions: please visit ALAPP official website.